The new RXO II released just a few days ago is a really unique camera as its both an action camera and a vlogging, professional camera at the same time. Action Camera Or Digital Camera? The durability of the new RXO II such as its waterproofness, shockproof and crushproof coupled with its small and compact size really resemble very highly of an action camera. Yet due to the large 1.0 type image sensor (commonly seen on digital cameras), the photos and videos shot on the RXO II are generally more professional looking and cinematic. Together with the flip screen, often seen in vlogging camera, the RX0 II really resembles traits from both cameras. Ok, I’m sure most of you should be more familiar with the GoPro or action cams so I decided to put into perspective by comparing them both side by side. For a start, the GoPro Hero 7 Black, for the first time, I can say is cheap, when comparing to the RX0 II since it nearly costs 1.5x more than the Hero 7 Black. I’m guessing it’s much costly because of its expensive image sensor and a lot of internal tech within the RX0 II that allows it to shoot those crisp, more cinematic videos. For a start, the GoPro Hero 7 can shoot up to 4K 60fps, stabilized while the RX0 can only film up to 4K 30fps so the GoPro wins in this regard. But the overall video quality goes way further than that since the image sensor also plays a huge part and with Sony’s bigger and more costly image sensor, the quality might still be better on the RX0 despite the slightly inferior frame rate. If you’re planning on using the slow-mo feature to capture fast-moving action shots, the RX0 is definitely superior in this regard since it can support up to 1000fps, compared to the 240fps on the Hero 7 Black. The RX0 II has a narrower 70˚ field of view thus there isn’t much distortion at play and gives a more cinematic and vlogging feel to the shots. On the other hand, the Hero 7 Black has a really wide 120˚ field of view thus it gives a more immersive point of view since more of your scene can be captured. At the end of the day, both have its pros and cons so it mostly depends on your shooting style as a person. On first glance, the flip screen on the RX0 II may seem better since you’re able to look at it right away and frame your shot all while it’s rolling. But from the looks of it, with that tiny screen and the many buttons present, it seems a little difficult to navigate around. Furthermore, as far as using it goes, I’d still prefer a touchscreen, like the one on the Hero 7 Black, since almost all our devices nowadays are touchscreen and it feels more intuitive to use it that way. Though something not very important if you’re shooting action shots most of the time, it’s an essential part for vloggers when filming with people you love. The audios in action cameras are usually just worse compared to any types of cameras as its main priority is waterproofing, which compromises audio quality. As for the GoPro Hero 7, it’s a tad bit harder to get external audio as you’ll need an external adapter and then connect it to a 3.5mm microphone. However, the good news is that the RX0 does have a 3.5mm audio port so you can directly connect an external mic to it. Despite it looking like an action camera due to its compact size, I do not think it’s a GoPro killer since it costs so much more than a GoPro despite GoPro being the flagship of all action cams. Is the Sony Rx0 II For You? I really think this camera as of now looks very impressive especially the photo and video quality that it can produce. 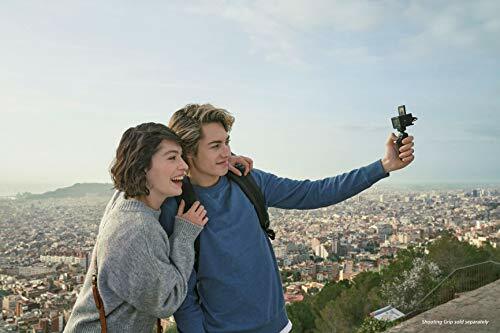 Colours look extremely vibrant, details look very sharp and the small size that allows you to slide into your pocket easily makes it extremely great for vlogging and sharing your holiday moments with your loved ones. All in all, for the price of $700, it’s a good investment if you’re looking to be a professional vlogger, but for most of us, I’d suggest you check out the best action cameras of 2019, which costs less than half the price of the RX0 yet still not failing to impress.